Part of a Series? : Yes, Book 2 but can be read as a standalone. Blurb Description: Eric Perry is Lewis Creek's resident bad boy. When he's named the new starting pitcher in a town that thinks baseball is everything, and he is nothing but trouble, Eric knows he has to clean up his act. Lay low, his coach tells him--at least long enough to actually pitch a game. But when a fight with his teammate lands him in jail yet again, his season may be over before it starts...until his next door neighbor, Bri, comes to the rescue. Making a deal with Eric's coach, she offers him one final chance at redemption: community service. Bri Johnson hadn't talked to Eric in months. Her boyfriend Matt, Eric's teammate and the school's golden boy, didn't like her to be around Eric. Matt didn't like a lot of things Bri did or said or wore, which is why she ends it with him the same night he and Eric get into a fight--a fight over her. That night is the reason Bri offers to take Eric with her to the community center each week, so he can keep his spot on the team. But spending time with Eric only makes her life worse, as scandalous rumors start flying and Matt refuses to let her move on. While Eric and Bri work closely together at the center, old stories of stargazing, first kisses, and a time when they were friends start to re-connect them. As they open up their secrets and their hearts to each other, they start to see that they are more than what other people think they are--and even more than what they think about themselves. Let’s be honest, yeah? I’m the FURTHEST thing from a sports buff that there ever was. My ideal life consists of reading, sleeping and of course, the television. And so, for me to say that the SPORTS in a book actually interested me, it just a testament to HOW WELL IT WAS DONE. 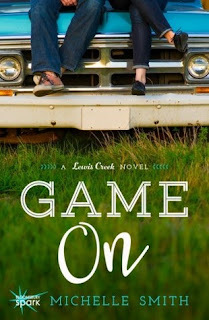 Also, ever since reading Cookie O’Gorman’s Adorkable, I’ve been CRAVING fluffy romances – or just romances in general – and Game On seemed like the prefect next read! Eric Perry is the new pitcher for the Lewis Creek Bulldogs. Eric Perry is also the pastor’s son. Eric Perry is that boy that everyone expects to be perfect, and cracks under the pressure. Bri Johnson is the girl next door. Smart and yet somehow with the boy that always manages to bring her down. Eric and Bri used to be best friends, until life happened. So, what happens when life decides to mix it all up? As I think about what I feel about Game On, I’m so on the fence about it, it’s not funny. 1. The Self-Destructiveness: TEENAGERS GO ON SELF-DESTRUCT MODE, OKAY? I’m in one right now, and I cannot relate to it any more. Both Eric and Bri somehow found themselves on this path, and it was quite realistic instead of just seeing Golden children, but people with actual self-doubt! 2. The Family: I adored Eric’s family! I adored Brett and Grace and Emma and his mom and dad and the fact that they were extremely strict, but still stood up for who their kids are. It was so SO refreshing. 3. The Sports (! ): This is something I’m usually neutral about, not being a sports enthusiast myself, but for some reason the sports in this ACTUALLY held my interest! I also loved that Bri played sports as well, and not just Eric. Go Girl Power! 4. Dealing With Abuse: Abuse can be physical, emotional or psychological and well, Michelle Smith handled it wonderfully! I loved how someone as smart as Bri was put under the microscope and her side of it all was REALLY explained. It was wonderfully done and hit home. 1. The Alternate POV Similarities: Game On switched between Eric’s and Bri’s Points of View, but THEY KEPT SAYING THE SAME THINGS AS THE OTHER, chapter after chapter. Lines like ‘I couldn’t fall for the boy next door’ became ‘I couldn’t fall for the girl next door’ and were then repeated and it drove me kind of mad. It felt like the SAME person talking, which it wasn’t. 2. 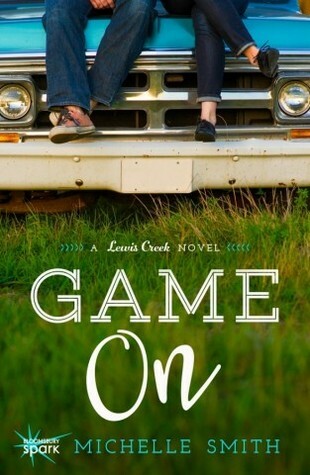 The Overly Done Everything: Game On is a comparatively longer book than most contemporaries, and so the ANGST and the drawing out until they finally got together was so exaggerated, and every scene was filled with red hot rage or tears or something, it was too much. There was so much that was unnecessary. All in all, a one-time read that I would recommend! 3 stars. What was the last contemporary you read?Are you into fluffy romances? What do you think about sports? Link me up to your blog, and I'll definitely pop by there!